Last year for Halloween I got my Little Man four little stuffed guys at the grocery store. He remains fairly uninterested in them, although he has developed attachments to other stuffed animals in the last year. I wanted to get him something for Halloween again this year, so I decided to go with plastic cups instead. 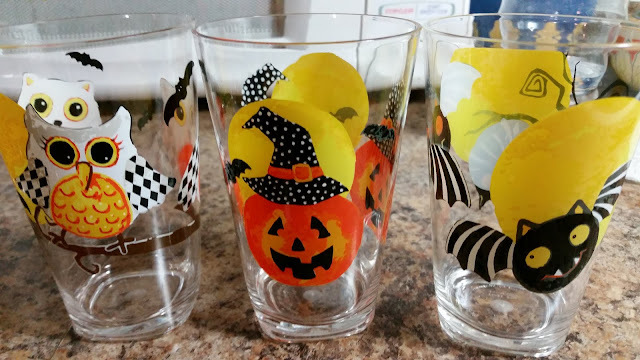 I was just going to get one, because really, how many Halloween cups does one child need, but I couldn't resist the other two once they went clearance. So the tradition of Halloween goodies continues... who knows what next year will bring.